Halloween is in just a few days and that means all the candy is headed your way. How can you enjoy a few sweet treats yet stay within your Freestyle SmartPoints? 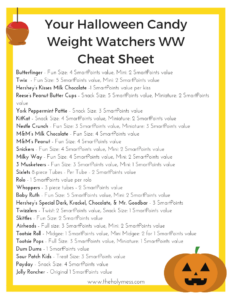 Help is here with this Halloween Candy Weight Watchers WW Freestyle Cheat Sheet. 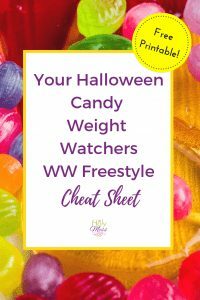 Be sure to keep scrolling because we have a FREE printable Halloween Candy Weight Watchers WW Freestyle Cheat Sheet to make it even easier to stick to your points goals this holiday. Are you a chocolate candy or a stick-sweet & chewy candy person? We’ve got you covered with both categories. Note: These points values are accurate as of 10/25/2018. Always use your Weight Watchers app or scan nutrition labels as ingredients and serving sizes continually change. Halloween is a tough holiday for those of us on Weight Watchers, because the points for Halloween candy adds up quickly! 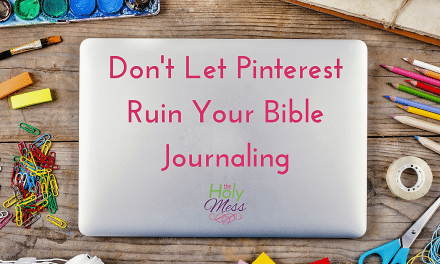 Here are a few strategies I use to stay on track. Eat candy mindfully. It’s so easy to start snacking on candy and before you know it, you have a whole pile of little wrappers and you are in a sugar coma. Pay attention to what you are eating. Eat sitting down. Just this trick alone makes a huge difference for me. Choose your favorites. I love Kit Kat and Reeses Peanut Butter cups, but I could give up Tootsie rolls and not think twice. If I’m going to indulge, I make sure it’s the treats I actually enjoy. Don’t buy your favorite candy to hand out. Choose a type of you don’t like that much for the give-away basket. After Halloween, get rid of it. Enjoy a few treats on Halloween then get rid of the rest. This New York times article offers suggestions of how to get rid of your candy while giving it to a good cause. 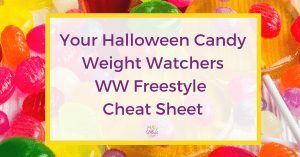 Here are some low point WW Freestyle Halloween Candy options so you can enjoy a few bites of candy but not totally derail your weight loss efforts. Most fun size chocolate bars are 2 SmartPoints making them a do-able option as long as you pay attention and don’t eat too many of them. Get a free printable guide with Weight Watchers WW Freestyle SmartPoints. 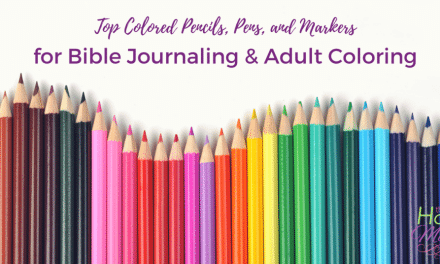 Will you please help make our guide even better! See a candy not listed and you know the WW Freestyle points? 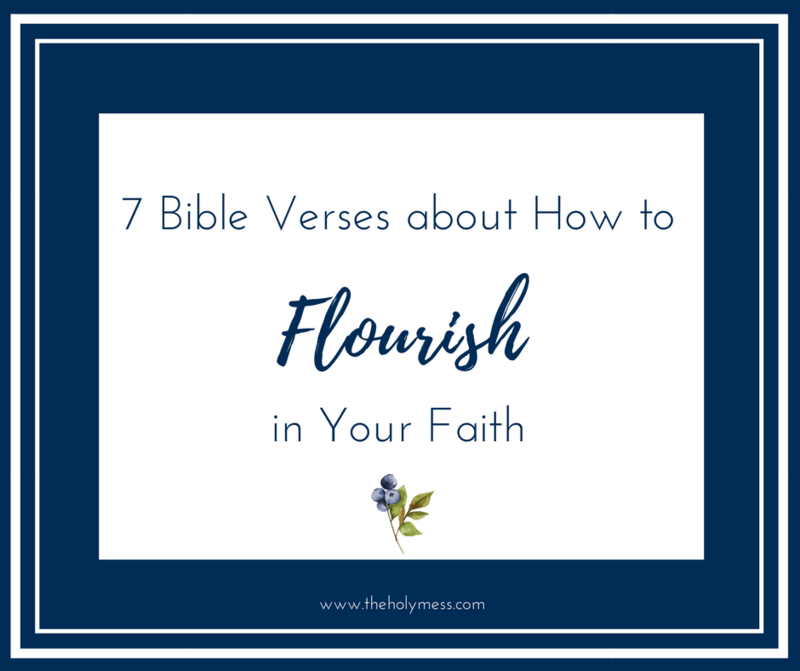 Share it in the comments below.